… or rather the appealing scent from chip shop in the middle did. Then with chips in hand, stationed on a bench opposite, I pondered the possible stories behind the interestingly varied frontages. Quite a striking design choice, or a series of them, and quite an array of window styles too. Local character. 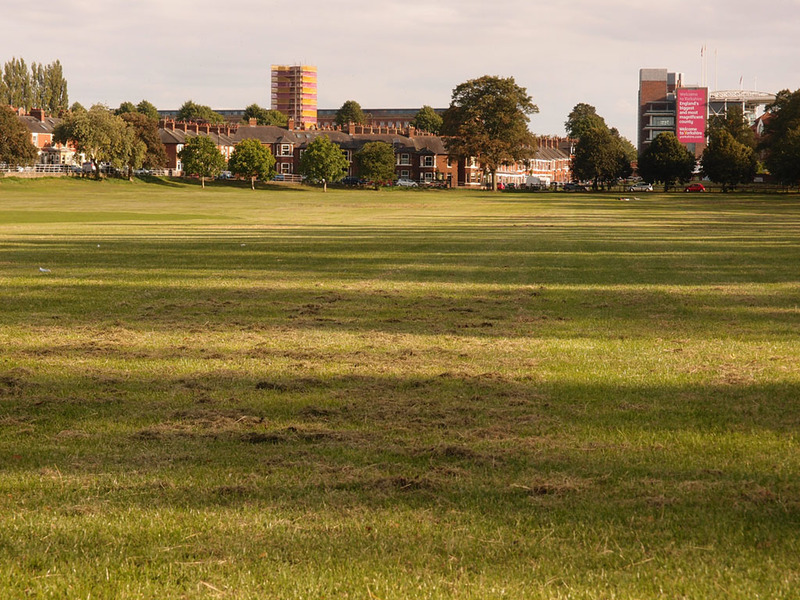 Closer to the city, sitting on sun-warmed grass on the area known as Little Knavesmire I admired the view across to the old Terry’s factory and the racecourse, with tall trees casting long shadows. Across there on the far side a pointing hand on a sign indicates the way to the ‘LAST PUB BEFORE THE RACECOURSE’. The area was peaceful when I was up there, but obviously it’s a different scene when the races are on, and comments online and in press reports often emphasise the difficulties local residents have with some of the more drunk and rowdy racegoers. 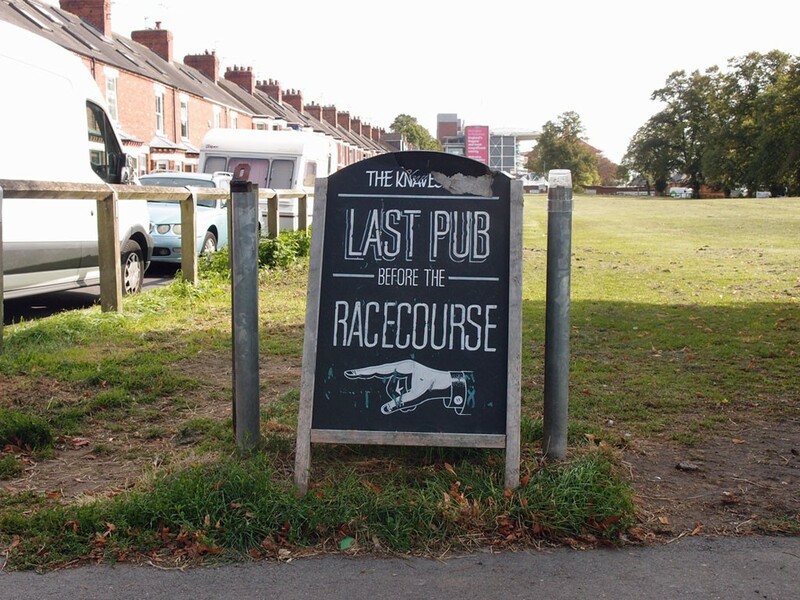 Yet the sign above reminds us that many local businesses presumably depend on racegoers. Across from that sign, on the perimeter fence of the Little Knavesmire, is a now rather faded official sign from City of York Council. 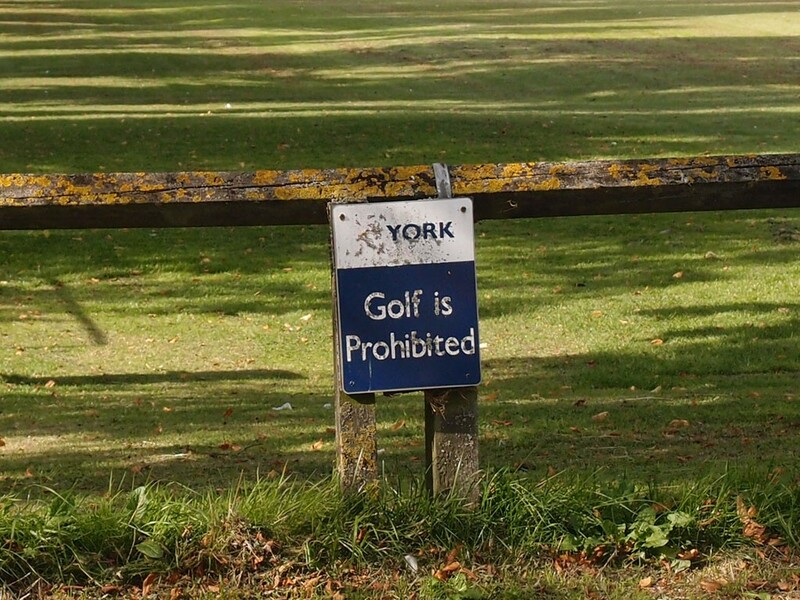 ‘Golf is Prohibited’, it warns. It has been there for at least fourteen years, and I know that as I have a photo of it taken back then, on a walk in this area in summer 2004, when it looked more shiny and new. I took a photo of it back then as I thought it looked a bit odd then, and it still looks odd now. Are spontaneous outbreaks of golf common in these parts? Signs forbidding things are often interesting, I find. 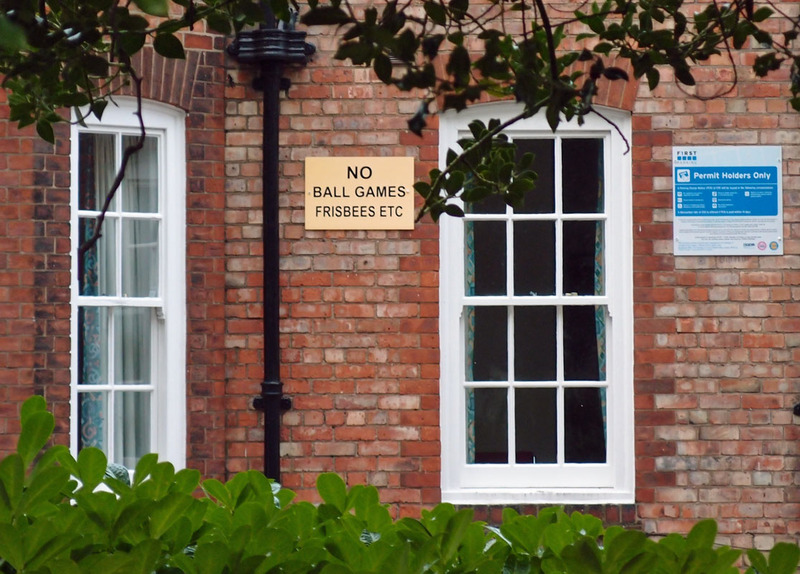 Over on the other side of town, another officious sign caught my eye, on Haxby Road. Don’t you be flinging your frisbees etc round here. It being summer and nice weather for cycling, I’ve had several pleasant cycle rides recently around York’s ever-improving cycle network. 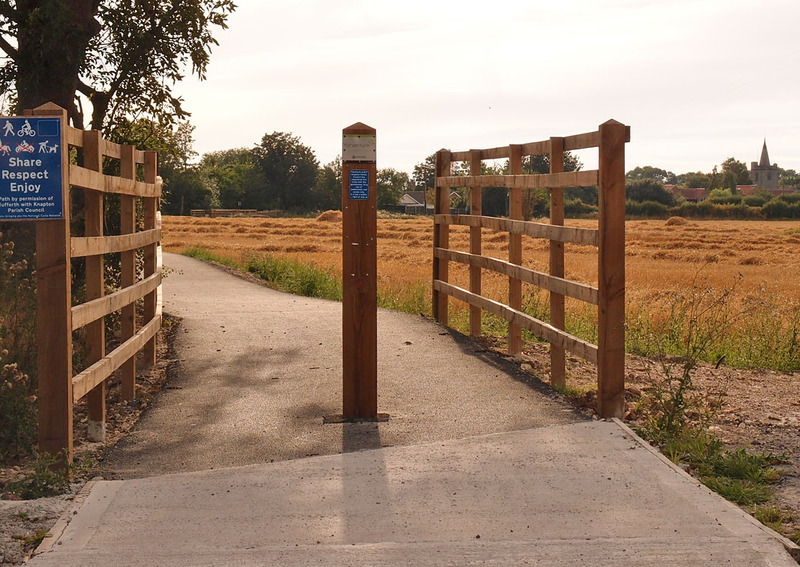 One bit I’d been meaning to investigate but only this summer got around to visiting is the Haxby cycleway, officially completed and opened in 2015, apparently. It includes this rather impressive bridge alongside the road bridge and across the railway line. 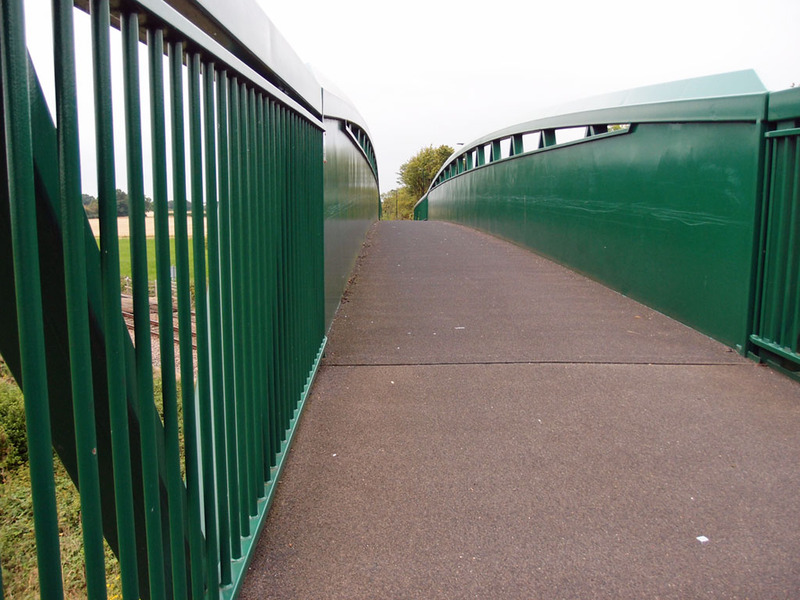 This route takes cyclists and pedestrians safely on from the Haxby Road/ring road roundabout to Clifton Moor. It seemed well-used, even on a mid-week evening when I was there. 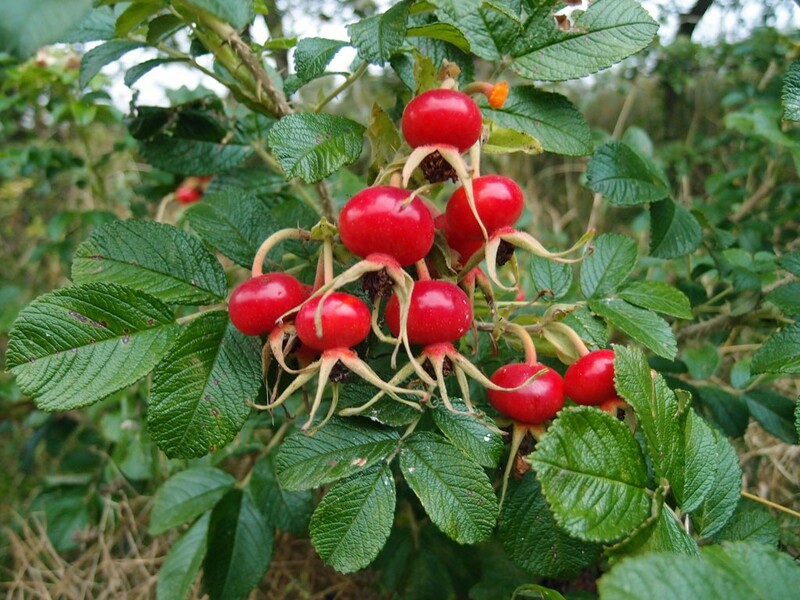 On other sections of it, alongside the bridge, an interesting tangle of vegetation included a large fennel plant, not a common hedgerow plant, and fat rosehips ripening. Over to the west of the city, where at last, the last bit of the cycle track to Rufforth has been completed, around the edge of a field, which means cyclists no longer have to fit with fast-moving cars on the busy road. Hurrah. In the photo below we’re looking towards Rufforth, with its church spire visible on the right, while a sign on the left hand post reminds us to ‘Share, Respect, Enjoy’. Good advice for cycle/pedestrian paths, and life in general. At Rufforth, at its small cemetery on the edge of the village, I took quite a few photos of a charming bench. It didn’t look like many people sat on it, and the lichen had taken hold instead. I do like to see handsome things made by human ingenuity enhanced by nature’s own small wonders, and lit by the sun. It’s not just a pile of rusty metal, but proof that work is taking place on the site where the city’s new mental health facility is to be built. Over on Haxby Road, not far from New Earswick, near the banks of the Foss, the scene is changing behind the wire fencing of the former Bio-Rad/Vickers site. These pieces of metal will be I imagine parts of what was the structure of the old factory building, presumably the below-ground parts, as the site had already been flattened, as previously covered on these pages. 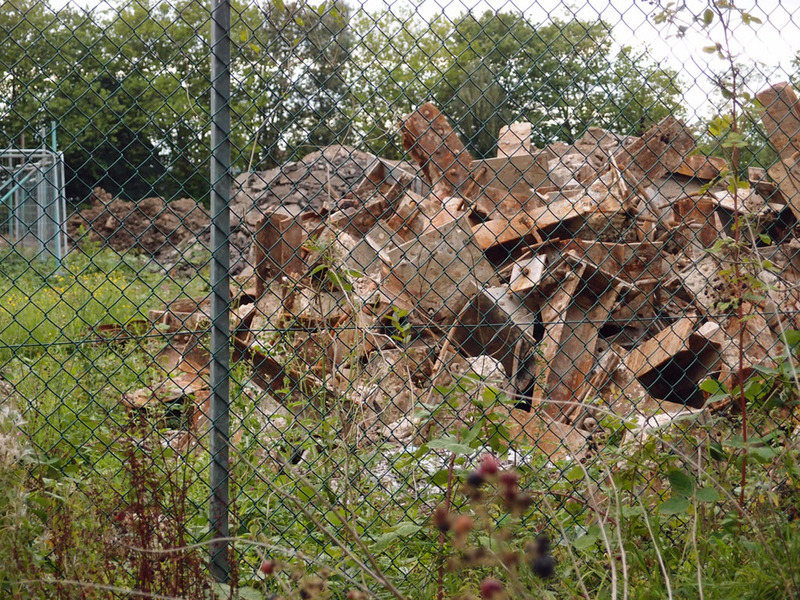 By the heap of metal were huge heaps of rubble. 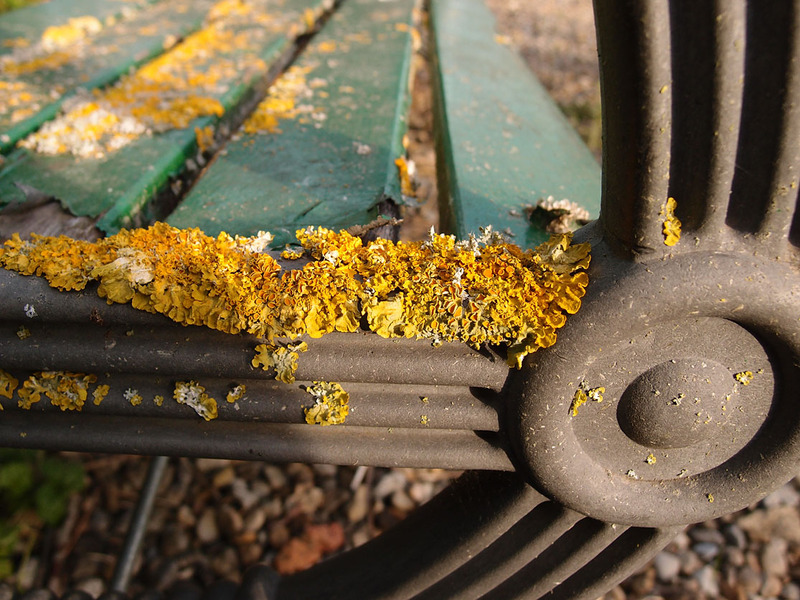 A lot of work to clear these ‘brownfield’ sites. From one large building site to another. On the last day of August I cycled over to Monk’s Cross to see how work was progressing on a place that has been the focus of much attention for many years and at one time looked likely to never get built. Part of the new Community Stadium, the replacement ground for Bootham Crescent. It really is looking likely now, so long after the possibility was first mentioned, that this is where the football and rugby teams will play, while Bootham Crescent will see the stands dismantled and the ground filled with houses. So much could be said about this change, so many stories … but for now all I’m going to say is that I hope there’s some green space retained at Bootham Crescent where the pitch has been for so many decades. 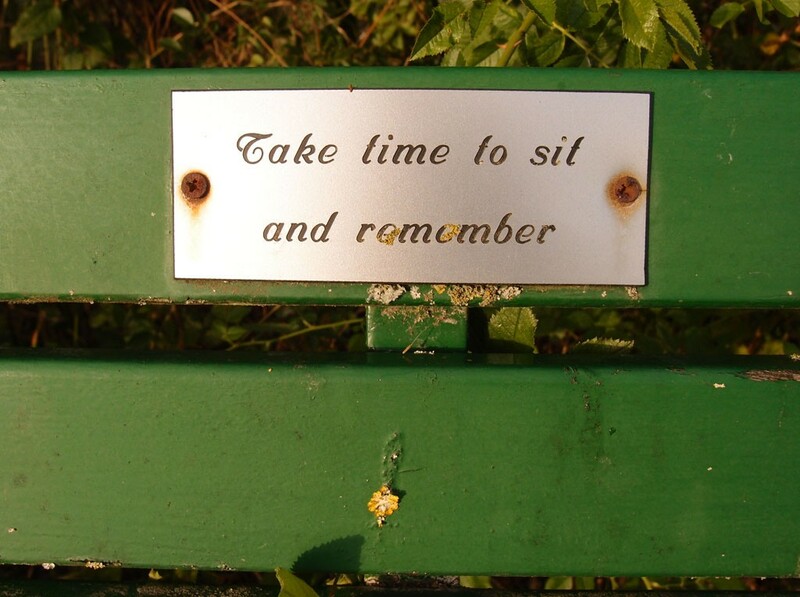 Perhaps part of the centre circle, maybe with a bench, perhaps with a message like the one on the bench at Rufforth. 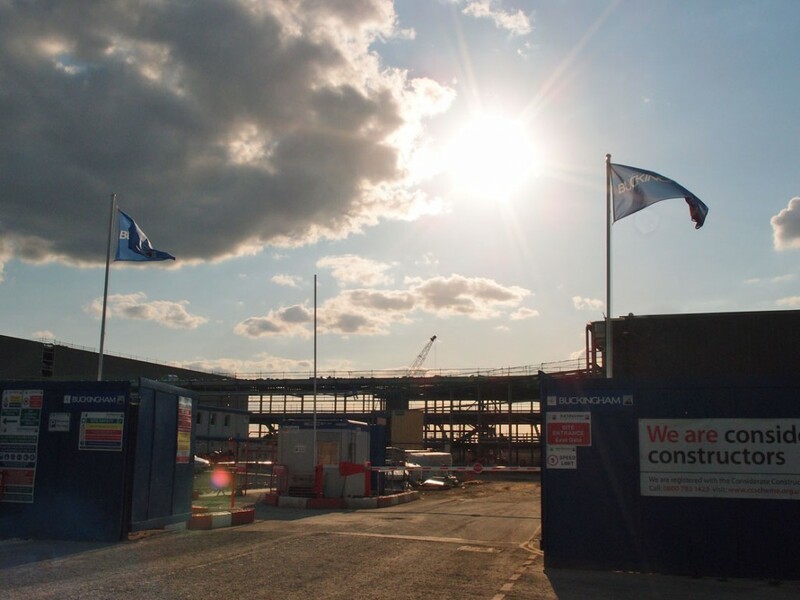 Summarising this selection of late summer images, we’ve seen evidence that work is underway on the site of the new mental health facility, and that work on the new community stadium is moving on apace. Both are intended to replace facilities in the Bootham area, in my part of town. And increasingly I find more of interest when going out of town, to the suburbs and the strays, following the hedges and wild edges. These pages are powered and supported by virtual coffees via Ko-fi and Paypal. Thank you. Join the mailing list for notifications of new additions to www.yorkstories.co.uk. 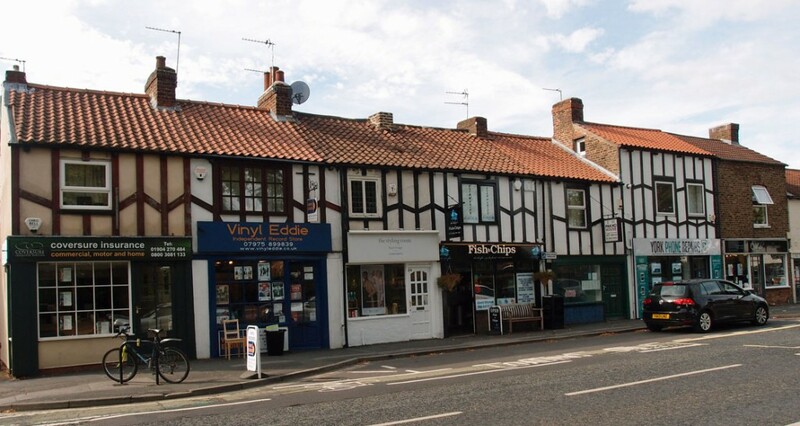 By Lisa @YorkStories • 1 September 2018 Buildings, Changes, Details, Miscellany, Wanderings To link to this page's proper location please use the > permalink. You should take a look around Askham Bryan sometime, nice area, nunnery there too and a lovely old church, pick the weather right lovely views of the setting sun too from the entrance to the pick your own place or further through the village looking to Askham Bryan (depending on the time of the year). Correction to the above it should read looking towards Askham Richard. Yes, I like both the Askhams – Bryan and Richard – haven’t got out that way for a bit, hope to do so if the weather remains good. 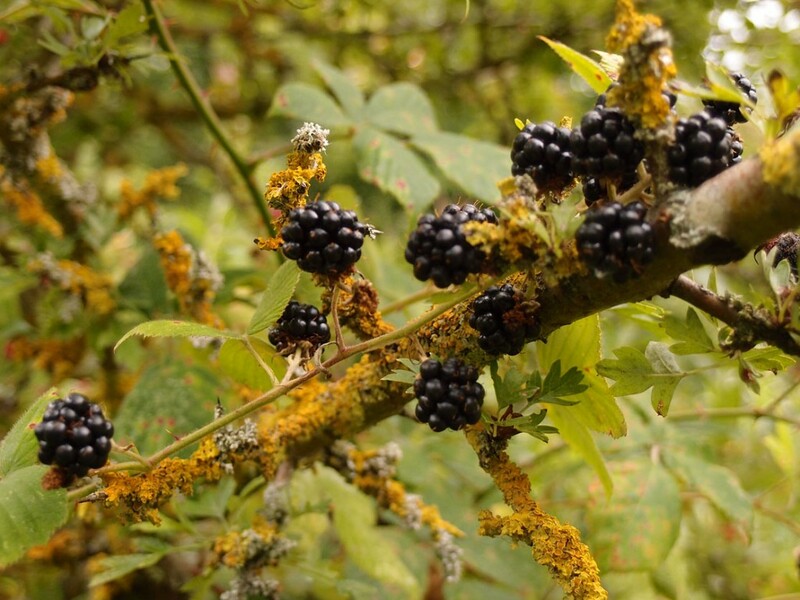 This is a delightful blog – one I very much look forward to. I can give you information about golf outbreaks on the Knavesmire, however. We used to live in Albemarle Road and once had a window smashed by a golf ball. There were often people out on the racecourse – and Little Knavesmire – practising their golf swing, though I’m talking quite a while ago. what a charming little tour..